Filwood Hope Advice Centre was opened in December 1996 by the Churches Together in Knowle West and Network Counselling. The vision was to have a centre which represented the heart of the Church in and for the community. To ensure that clients are received without prejudice or judgement and to enable them to share their story freely. To ensure that every client who comes into the centre with an enquiry leaves being helped either with a resolution or with signposting to appropriate help. Two part-time staff manage the centre and fourteen volunteers ensure a warm welcome and help with running our services. In the past year we had almost 6000 clients drop in for advice. 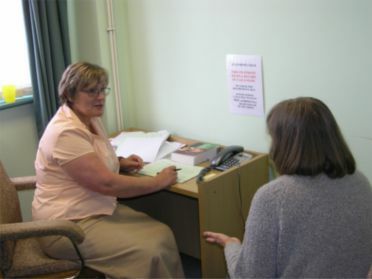 We host external agencies offering advice with benefit and debt; on problems with rent issues and one to one counselling. The funding from Temple Ecclesiastical Charity has helped keep the centre open and indeed extend our opening hours. We have allocated some of the funding received for maintaining ongoing training for staff and volunteers.